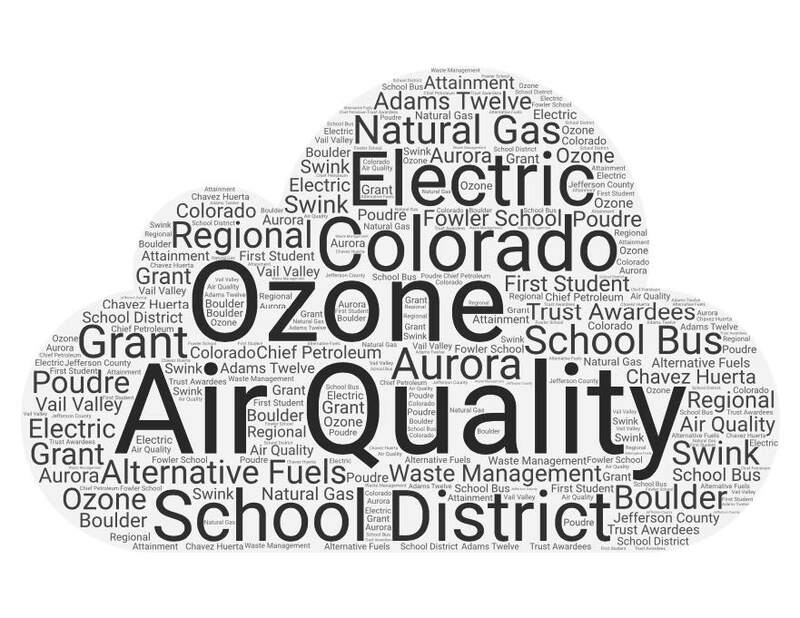 The Regional Air Quality Council (RAQC) and its program partners are pleased to announce the first round of projects funded through ALT Fuels Colorado, utilizing funds from the Volkswagen Diesel Emission Environmental Mitigation Trust. To access a list of projects by agency name and awarded amount click here. A second call for ALT Fuels Colorado Mitigation Trust projects has taken place, and an updated awardee list will be posted once the funding for those projects are approved by the Trust. A list of ALT Fuels Colorado projects funded through the Federal Highway Administration’s Congestion Mitigation Air Quality (CMAQ) program can be accessed here. Governor John Hickenlooper today announced a $10.33 million ALT Fuels Colorado grant through the Colorado Energy Office (CEO) to ChargePoint to build electric vehicle (EV) fast-charging stations along the state’s major transportation corridors. The fast-charging stations will be located in communities at 33 sites across six Colorado corridors comprised of Interstate, State and U.S. highways. A lack of EV fast-charging stations along major transportation corridors limits the ability of EV drivers to engage in intra-and interstate travel and represents a major barrier for current and prospective EV owners. The Colorado Electric Vehicle Plan requires the State to build out Colorado’s EV fast-charging infrastructure through public-private partnerships. In April, CEO issued a request for ALT Fuels Colorado grant applications to directly address this requirement. This ALT Fuels Colorado grant also helps implement Colorado’s Beneficiary Mitigation Plan and the State’s commitment to the multi-state Regional Electric Vehicle West Memorandum of Understanding. ChargePoint is a national leader in EV charging. The company designs, builds and supports all the technology that powers its charging networks, from charging station hardware to energy management software. The RAQC and its partners joined Governor John Hickenlooper on Jan. 24 to announce the release of the Colorado Electric Vehicle (EV) Plan, delivering on a directive set forth in the July 2017 Executive Order, “Supporting Colorado’s Clean Energy Transition.” The plan was developed in partnership with the Colorado Energy Office (CEO), RAQC, Colorado Department of Public Health & Environment (CDPHE), and Colorado Department of Transportation (CDOT). The plan details a series of actions supporting EV infrastructure along Colorado’s corridors. It also lays out goals to accelerate adoption of EVs and ensure Colorado remains a leader in the EV market. You can read the full plan here. The following article was generously shared with us by a student from an after school book club. Thank you once more to everyone who attended the ELECTRIFY! Colorado Symposium. Below are links to the presentations given at the symposium. Please contact Matt Mines for any additional questions about the Charge Ahead Colorado grant program. For the full article featured in the Denver Post, click here. At the Colorado Motor Carriers Association’s annual convention in Steamboat Springs, Colo. last month, the Regional Air Quality Council (RAQC) and Colorado Motor Carriers Association (CMCA) recognized two trucking fleets for their contributions and efforts toward reducing diesel emissions and energy utilization. Colorado residents and visitors will be “electrified” the week of Sept. 10-18 when National Drive Electric Week (NDEW) comes back to town. Attendees will get to experience first-hand some of the most popular electric vehicle (EV) models available by visiting one of the six events occurring throughout the metro area. Charge Ahead Colorado (an EV and infrastructure grant funding program formed in partnership by the Regional Air Quality Council and the Colorado Energy Office) will be available to discuss the myths and benefits of EV ownership, workplace charging opportunities, charging station availability, and the financial and tax incentives associated with EV ownership. Most area NDEW events give the opportunity for attendees to experience a ride and drive of select EVs and various entertainment activities. For a list of local NDEW events, visit https://driveelectricweek.org/index.php or the Colorado Electric Vehicle Coalition (CEVC) events calendar at http://refuelcolorado.com/cevc.